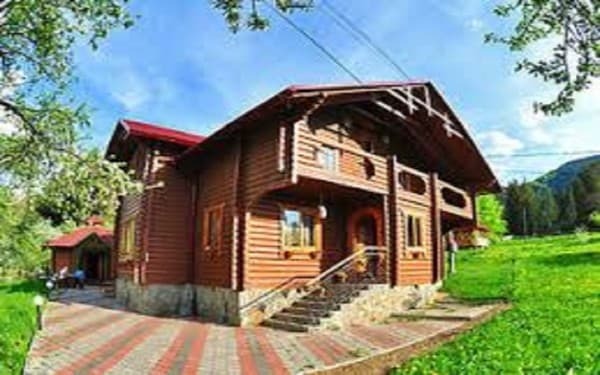 Private estate "Raisky kutochok" is located in the village of Verkhovyna, near the forest. 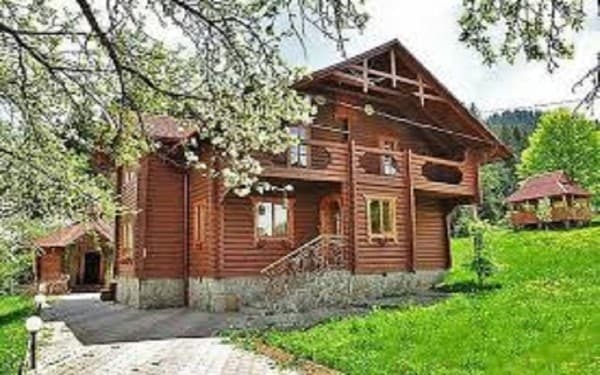 To attention of tourists it is offered accommodation in 2 wooden cottages, the interior of which completely corresponds to Carpathian style. 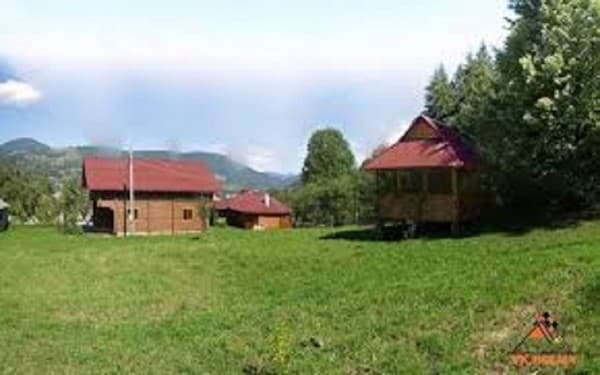 There is a parking place, a gazebo and a brazier on the landscaped grounds of the "Raisky kutochok" manor. Nearby - a kolyba. You can order a sauna. At the service of guests ski equipment rental, instructor's services. 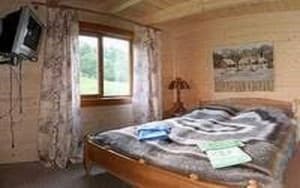 It is possible to organize hikes in the mountains, excursions, horse riding, horseback riding along the developed routes, fishing, picking up mushrooms and berries, transfers from the station and to the ski lifts. PRICES MAY CHANGE, YOU NEED TO UPDATE THE OPERATOR'S INFORMATION! Описание номера: Cozy 1-room suite, which has everything necessary for comfortable living: a double bed, bedside table, wardrobe, satellite TV, bathroom on the floor (shower, bidet, toilet, washbasin). Common living room. There is an opportunity to use the kitchen. 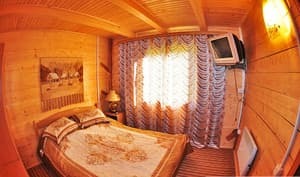 Description of the room: Cozy wooden cottage. On the 1st floor there is a kitchen-dining room (microwave oven, electric kettle, refrigerator, necessary utensils, table for 12 people), 2 double rooms (double bed, wardrobe, TV), bathroom (toilet, washbasin, shower, bidet) . On the 2nd floor - 4 double rooms (double bed, wardrobe, TV, balcony), bathroom (toilet, washbasin, shower, bidet). In one of the rooms there is a double sofa bed. Невероятное место у леса на окраине старинного высокогорного села с хозяевами, что поразит Вас гостеприимством и вдохновляющим подходом к жизни! Гостинні хазяї. Дуже комфортні умови проживання, велика територія, зручно для дітей, поряд гори і ліс. Дуже круто, обов'язково наступного разу до них поїдемо. Дуже сподобалося, мабуть саме краще місце в Верховині. Ліс , річка , чани .. все поряд . Всім рекомендую !!! Children under 5 years old without a supplementary place and food are free, up to 12 years - a 25% discount. The farmstead is located in the village of Verkhovyna, 1.2 km from the highway and the center of the village. The access road is a dirt road. Near the house there is a forest. The nearest ski lift is 600 m.
To Verkhovyna by bus, shuttle from Ivano-Frankivsk, get off at the center, then take a taxi or the owners will meet their own car.